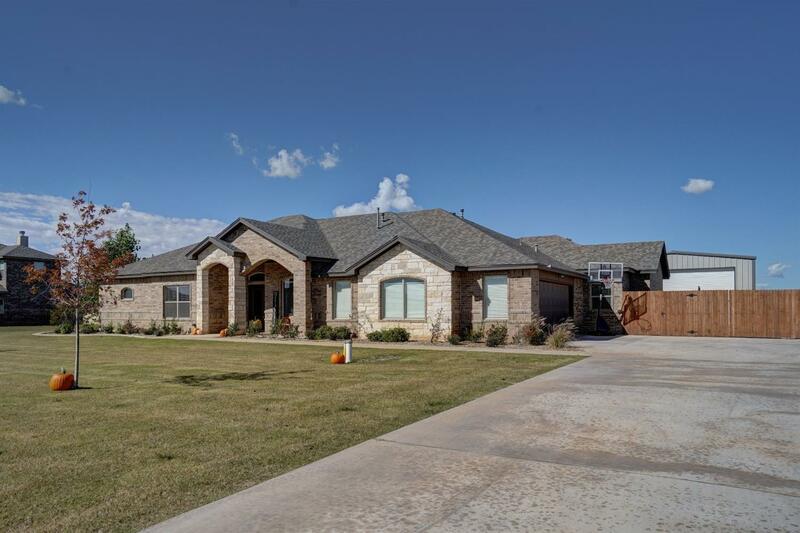 Beautiful 1-Acre Home in Cooper Ranch. Ideal FloorPlan with 4 Bedrooms, 3.5 Bath, PLUS Office AND Large Gameroom! Spacious Living Area, Ceiling Treatments galore, Granite throughout and a Stunning Stoned Fireplace will all take your breath away. Making your way to the gorgeous Backyard you will find a Huge Covered Patio, Plush Green Grass and a 1200' Barn with Patio, 14' Overhead Door-Perfect for a Boat or RV. This Home is Fully Loaded at an exceptional price and it will not last long! Schedule your Viewing today. Welcome Home!